In the winter my skin gets pretty dry. I think that’s common for lots of people. 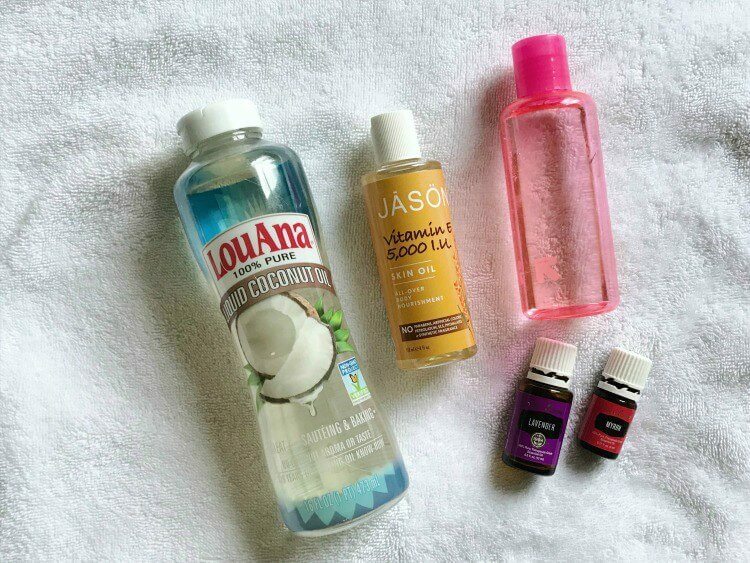 Lotion works great but sometimes I just love using my DIY body oil for even more hydration…especially before bed. It does take a little bit of time to soak in so I wouldn’t use it right before putting slacks on. I like the deep moisture that it provides. Often times lotion will soak in and then an hour later my skin is still thirsty. This essential oil scented body oil is packed full of wonderful plant based products and oils that are specifically geared to help nourish dry skin making this the perfect homemade body oil to whip up and have on hand during the dry winter months! 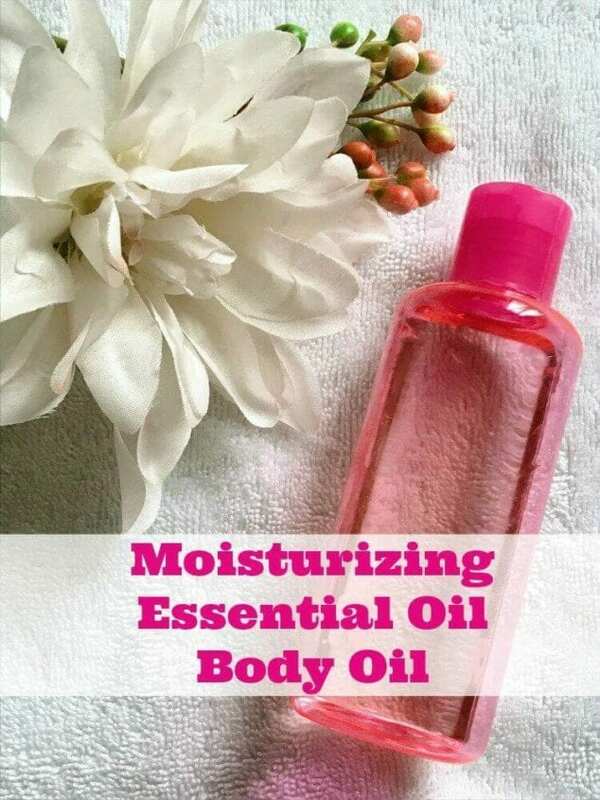 You are going to love this recipe for how to make body oil because it is easy to make, nourishing, hydrating, and lightly scented with essential oils. Grab your supplies and a measuring spoon too. Start with your coconut oil and vitamin E oil. Measure out 3 TBSP of coconut oil and then add 1 TBSP of vitamin E oil. Next, you are going to add your essential oils. There are lots of different oils available but I find these 2 to be very moisturizing and they help keep skin feeling and looking healthy. Add 8 drops of you YL Lavender essential oil and 8 drops of your YL Myrrh essential oil. Give the homemade body oil a gentle shake and it’s ready to use! You can definitely use this hydrating body oil all over or just on super rough patches of skin like elbows and feet. The scent is relaxing and soothing (prefect to apply before bed or in the evenings). You may also like to try my sugar body scrub recipe to exfoliate skin before applying this DIY body oil for maximum skin shimmering results! Do you think you will try this recipe for how to make body oil? It works as a hydrating body oil for all seasons- in the winter and in the summer when you want your skin to have that healthy glow! Do you enjoy making and using your own DIY beauty products? Let us know how you like it on our Family Focus Blog Facebook Page!